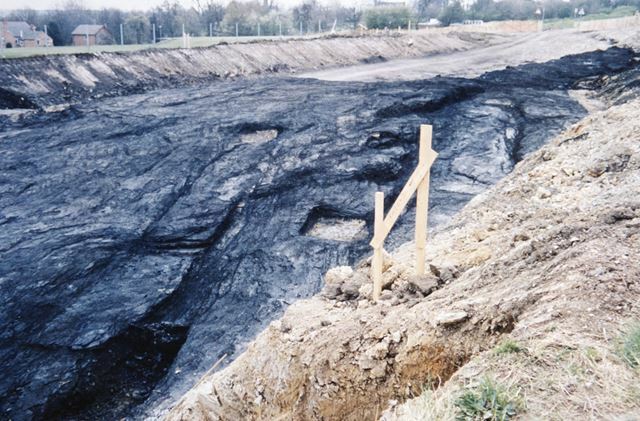 Coal seam exposed during construction of Inner Relief Road (later Chalons Way), Ilkeston, c 1995 ? Excavations for construction of Ilkeston's new Inner Relief Road (later named Chalons Way) showing exposure of a coal seam close to the surface, possibly with indications of old mine workings. This location appears to be on the section of the road between Station Road and White Lion Square and is looking south-east.